Depression is a significant predictor of five-year survival and recurrence in head and neck cancer patients, according to a new study from The University of Texas MD Anderson Cancer Center. These findings, published in Pyschosomatic Medicine, represent one of the largest reported impacts of depression on cancer survival. Although depression can have obvious detrimental effects on an individual’s quality of life, the impact on that of cancer patients is becoming more apparent, explained Eileen Shinn, Ph.D., assistant professor, Behavioral Science, MD Anderson, and lead author of the study. There is increasing evidence for modest associations between elevated symptoms of depression and increased mortality risk in lung, breast, ovarian and kidney cancer. 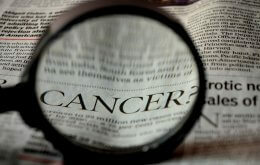 To clarify the influence of depression on survival, the research team focused their analysis on a single cancer type. By limiting the sample set and adjusting for factors known to affect outcome, such as age, tumor size and previous chemotherapy, they were able to uncover a more profound effect of depression. The researchers followed 130 MD Anderson patients newly diagnosed with oropharyngeal squamous cell carcinoma (OSCC), a type of head and neck cancer in which the tumor originates at the back of the throat and base of the tongue. At the beginning of their radiation therapy, patients completed a validated questionnaire to identify those with symptoms of clinical depression. Researchers monitored the participants, all of whom completed treatment, until their last clinic visit or death, a median period of five years. “The results of this study were quite intriguing, showing depression was a significant factor predicting survival at five years, even after controlling for commonly accepted prognostic factors,” said senior author Adam Garden, M.D., professor, Radiation Oncology. In fact, depression was the only factor shown to have a significant impact on survival. Patients scoring as depressed on the questionnaire were three-and-one-half times less likely to have survived to the five-year interval, compared to those who were not depressed on this scale. The degree of depression was also found to be significant, as every unit increase on this scale resulted in a 10 percent higher risk for reduced survival. According to the authors, OSCC is diagnosed in 10,000-15,000 Americans each year. Several major risk factors are known to be associated with OSCC, including smoking and tobacco use, alcohol consumption and human papillomavirus (HPV) infection. In fact, the incidence of OSCC has doubled in the last 20 years due to rising HPV infection rates, said Shinn. Neither alcohol nor tobacco use, also surveyed in this group, had a significant impact on survival. HPV infection status, when available, did not appear correlated either. Despite a high cure rate for OSCC, normally between 60-80 percent, there is an unusually high rate of recurrence in these patients of about 30 percent. As depression was connected to survival, the researchers also investigated a potential link to disease recurrence. “When we controlled for all variables, depression was linked with a nearly four times higher risk of recurrence,” said Shinn. “Also, those who had never smoked, compared to current smokers, had a 73 percent lower chance of recurrence.” Those were the only two factors associated with cancer recurrence. While the researchers stress caution in generalizing these results to other cancer types, the results do suggest an important role for depression in influencing OSCC patient outcome. Although the current study does not address potential psychotherapy interventions, screening for depression in this population may be appropriate, explained Shinn. “Regardless of depression’s impact on cancer outcome, all patients should seek help for prolonged and elevated levels of depression as effective medications and therapeutic options are available,” said Shinn. Looking ahead, the researchers would like not only to replicate the findings in a larger sample but also to determine the biological reason depression makes this cancer more lethal. Possible mechanisms include poor lifestyle behaviors associated with depression, or a different biological response to chronic inflammation that affects cancer biology. These questions, however, will need to be answered in future research. In addition to Shinn, other MD Anderson authors include: Alan Valentine, M.D., Psychiatry; Amit Jethanandani, Karen Basen-Engquist, Ph.D., and Emma Atkinson, all of Behavioral Science; Bryan Fellman and Diana Urbauer, both of Biostatistics; Wamique Yusuf, M.D., and Myrshia L. Woods, both of Cardiology; Merrill S. Kies, M.D., Thoracic Medical Oncology; Anil K. Sood, M.D., Gynecologic Oncology and Reproductive Medicine; Cindy Carmack, Ph.D., Palliative Care; William H. Morrison, M.D., Radiation Oncology; and Ann Gillenwater, M.D., and Erich M. Sturgis, M.D., both of Head and Neck Cancer Surgery. Additional authors include: Daniel Lenihan, M.D., Vanderbilt University Medical Center. This study was funded by the National Cancer Institute (R03 CA108358, P30 CA016672, K07 CA 093512, and R25 CA056452) and the National Institute of Dental and Craniofacial Research (R01 DE019141).